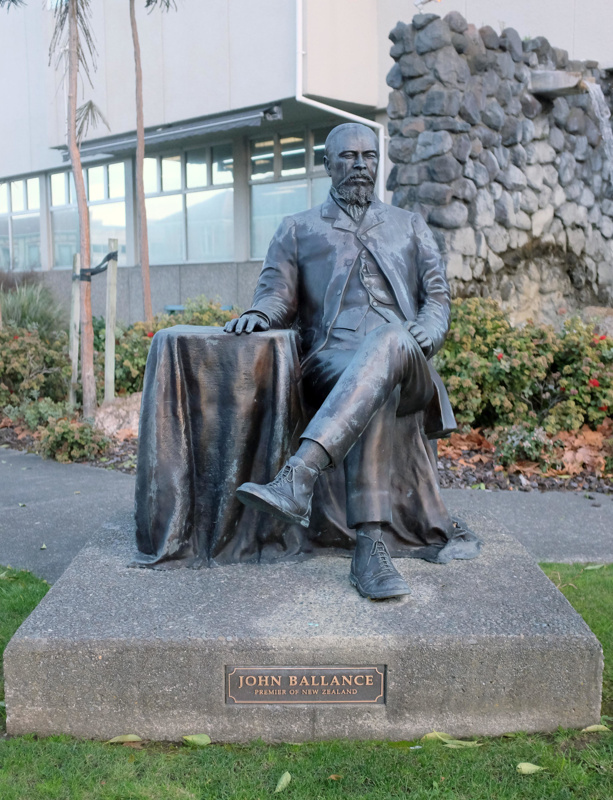 This statue was made by Chris Elliott to serve as a replacement for the old John Ballance statue, which was damaged beyond repair in the 1995 occupation of Pākaitore/Moutoa Gardens. 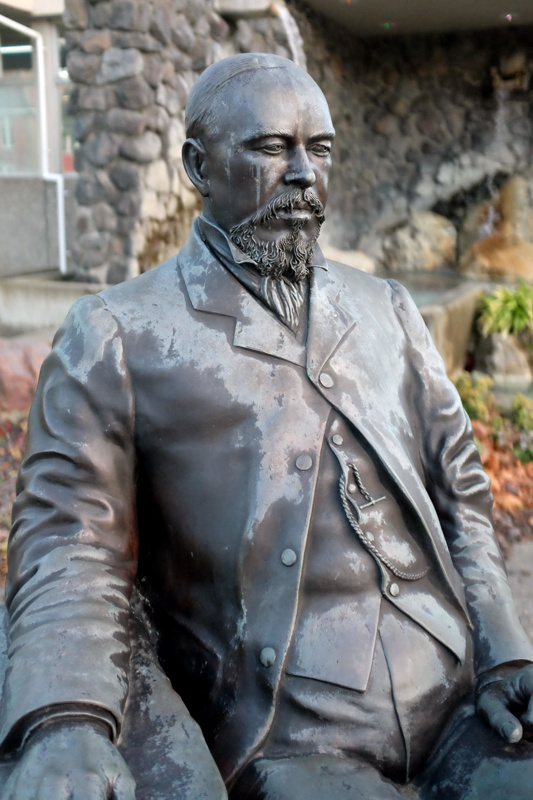 In 2009 Elliott served as sculptor of the Sir Peter Snell statue in Cooks Gardens. 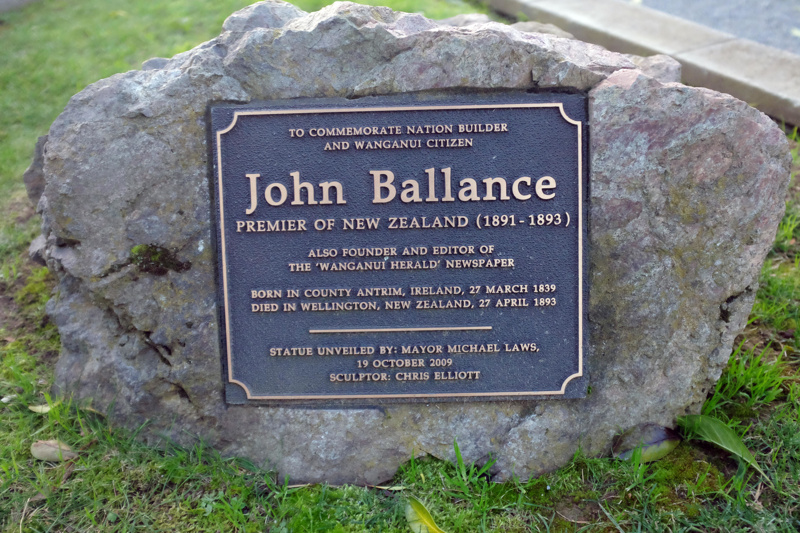 John Ballance was a very prominent face in Wanganui, having established the Evening Herald (then Wanganui Herald) in the 1860s after emigrating from Ireland. Active in a variety of community organisations, he soon became more involved in national politics and was the Member of Parliament for Wanganui throughout the 1880s. In 1891 Ballance, as leader of the Liberals (the nation's first organised political party), took over the position of Premier from Harry Atkinson. He died two years later in Wellington and received a state funeral, before being buried in Wanganui's Heads Road cemetery.